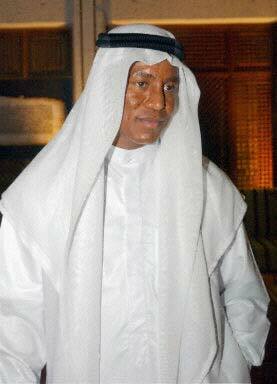 In a starling Interview, Jermaine Jackson, brother of world-famous star Michael Jackson, tells how he embraced Islam. Islam is a religion, which transcends all petty prejudices of color, race and territorial boundaries. That is why the followers of other religions, with a nearsighted vision, have a sense of overflowing pride and relief when they embrace Islam. Deserting the religion of one?s forefathers is one of the most difficult decisions, but the golden principles and the virtues of broadmindedness of Islam have persuaded mankind to adopt it as a way of life. When and How did you start your journey towards Islam? It was way back in 1989 when I, along with my sister, conducted a tour to some of the countries of Middle East. During our stay in Bahrain, we were accorded warm welcome. There I happened to meet some children and had a light chitchat with them. I put certain questions to them and they flung at me their innocent queries. During the course of this interaction, they inquired about my religion. I told them, "I am a Christian." I asked them, as to what was their religion? A wave of serenity took over them. They replied in one voice ? Islam. Their enthusiastic answer really shook me from within. Then they started telling me about Islam. They were giving me information, much in piece with their age. The pitch of their voice would reveal that they were highly proud of Islam. This is how I paced toward Islam. A very short interaction with a group of children ultimately led me to have long discourses about Islam with Muslim scholars. A great ripple had taken place in my thought. I made failing attempt to console myself that nothing had happened but I could not conceal this fact any longer from myself that at heart I had converted to Islam. This I disclosed first to my family friend, Qunber Ali. The same Qunber Ali managed to take me to Riyadh, capital of Saudi Arabia. Till that time, I did not know much about Islam. From there, in the company of a Saudi family, I proceeded for Mecca for the performance of "Umrah". There I made public for the first time that I had become Muslim. What were your feelings after you proclaimed that you were a Muslim? Having embraced Islam, I felt as if I were born again. I found in Islam the answers to those queries which I had failed to find in Christianity. Particularly, it was only Islam that provided satisfactory answer to the question relating to the birth of Christ. For the first time I was convinced about the religion itself. I pray my family members might appreciate these facts. My family is the follower of that cult of Christianity, which is known as AVENDANCE of JEHOVA (Jehova's Witness). According to its creeds, only 144,000 men would finally qualify to enter into paradise. ?How comes, It remained always a perplexing creed for me. I was surprised to know that Bible was compiled by so many men, particularly about a volume scripted by King James. I wondered if a man compiles a directory and then ascribes it to God, but he does not fully comply with these directions. During my stay in Saudi Arabia I have had the opportunity to buy a cassette released by the erstwhile British pop-singer and the present Muslim preacher, Yusuf Islam (formerly Cat Stevens). I learnt a lot from this as well. What happened when you got back to the US after embracing Islam? When I returned to USA, American media orchestrated heinous propaganda against Islam and the Muslims. The gossips were let loose on me which really disturbed my peace of mind. The Hollywood was hell-bent upon maligning the Muslims. They were being projected as terrorists. There are many things where there is consensus between Christianity and Islam, and Quran presents Holy Christ as a virtuous Prophet. Then, I wondered, why Christian America levels baseless allegations against Muslims? This made me gloomy. I made up my mind that I would do my best to dispel the wrong image of Muslims, portrayed by the American media. I had not the slightest idea that American media would not digest the news of my accepting Islam and raise such a great hue and cry. It was virtually acting against all its tall and much-publicized claims about the freedom of expression and the freedom of conscience. So the hypocrisy of American society came to surface and lay uncovered before me. Islam unknotted many complications for me. As a matter of fact, I came to think of myself as a complete human being, in the literal sense of the word. After becoming Muslim, I felt a tremendous change in me. I discarded all thing prohibited in Islam. This made things difficult for my family too. In short, the Jackson family tumbled altogether. Threatening letters poured in, which further intensified the worries of my family. Well, they would tell me that I had nurtured the animosity of American society and culture, by entering into the laps of Islam, you have deprived yourself of the right to live with others. WE would make life unbearable for you in America so on, so forth. But I confess that my family is broadminded. We have held all religions in esteem. Our parents have trained and groomed us in that way. Therefore, I may say that the Jackson family enjoys friendly relation with people belonging to almost all religions. This is the result of that training that I am being tolerated by them so far. What was the reaction of your brother Michael Jackson? On my way back to America, I brought a number of books from Saudi Arabia. Michael Jackson asked me himself for some of these books for study. Before this, his opinion was influenced by the propaganda of American media against Islam and the Muslims. He was not inimical towards Islam, but he was not favorably disposed towards Muslims either. But after reading these books, he would keep mum and not say anything against Muslims. I think perhaps this is the impact of the study of Islam that he diverted his business interests towards Muslim traders. Now, he has equal shares with the Saudi billionaire prince Waleed bin Talal, in his multi-national company. It was said earlier that Michael Jackson was against Muslims, then there are rumors that he had become Muslim. What is the real story? I testify this fact, at least there is nothing in my knowledge that Michael Jackson ever said anything derogatory against Muslims. His songs, too, give message of love for others. We have learnt from our parents to love others. Only those who have their own ax to grind hurl allegations on him. When there can be a nasty uproar against me when I became Muslim, why can it not be so against Michael Jackson. But, so far, media has not subjected him to scathing criticism, although he is threatened for his getting somewhat closer to Islam. But who knows what would it look like when Michael Jackson embraces Islam. What are the views of the rest of the members of your family about you? When I returned to America, my mother had already heard the news of my conversion to Islam. My mother is a religious and civilized woman. When I reached home, she put forth only one question, "you have taken this decision all of a sudden, or is it the outcome of some deep and long thinking behind it?" "I have decided after a lot of thinking about it," I replied, let me say we are known as a religious family. Whatever we possess, is due to the blessing of God. Then why we should not be grateful to Him? This is why we actively participate in the charity institutions. We dispatched medicines to the poor African countries through special aircraft. During Bosnian war, our aircraft were engaged in supplying aids to the affectees. We are sensitive to such things because we have witnessed abject poverty. We used to live in a house which was hardly a few square meters capacious. Did you ever discuss about Islam with your sister pop star Janet Jackson? Like other members of my family, my sudden conversion to Islam was a great surprise for her. In the beginning, she was worried. She has stashed into her head only one thing that Muslims are polygamous, they do have as much as four wives. When I explained this permission granted by Islam with reference to the state of the present American society, she was satisfied. This is fact that promiscuity and infidelity is very common in the western society. In spite of the fact that they are married, western men enjoy extramarital relations with a number of women. This has caused devastating moral decay in that society. Islam safeguards the social fabric from this destruction. As per Islamic teachings, if a man is emotionally attracted towards a woman, he should honorably give this relation a legal shape otherwise he must be contented with only one wife. On the other hand, Islam has laid down so much conditions for second marriage that I do not think that an ordinary Muslim can afford to meet these conditions financially. There is hardly one percent Muslims in the Islamic world who have more than one wife. To my view, the women in an Islamic society is just like a well-protected flower which is safe from the stray penetrating looks of the viewers. Whereas western society is devoid of the vision to appreciate this wisdom and philosophy. What are your spontaneous feelings when you look at the Muslim society? For the larger interest of humanity, Islamic society presents the safest place on this planet. For instance, take the example of women. American women are clad in their out-fit in such a manner that gives temptation to the male for harassment. But this is unthinkable in an Islamic society. Besides, the prevalent sins and vices have disfigured the moral fabric of western society. I believe if there is any place left where the humanity is still visible, it can not be anywhere else than in an Islamic society. Time would come when the world would be obliged to accept this reality. What is your candid opinion about the American media? American media is suffering from self-contradictions. Take the example of Hollywood. The status of an artist is measured here keeping in view the model of his car, the standard of this restaurant that he visits, etc. This is the media that raises someone from the dust to the skies. They do not consider the artist as a human being. But I have met so many artists in the Middle East. They have no misplaced arrogance in them. Just look at the CNN, they do that much exaggeration about some news that it appears that nothing else has happened except that event in the world. The news of fire in the forests of Florida was given such a wide coverage as it gave the impression that the whole globe has caught fire. In fact, it was a small area, which was affected by that fire. I was in Africa, when the bomb-blast took place in Oklahoma City. The Media, without any proof, started hinting at the involvement of Muslims in that blast. Later on the Saboteur turned out to be a CHRISTIAN!!! We may term this attitude of American media as its willful ignorance. Can you maintain a Linkage between your Islamic personality and the culture of your family? Why not? This linkage can be kept up for the achievement of good things. After becoming Muslim, did you ever happen to see Muhammad Ali? Muhammad Ali is our family friend. I have met him a number of times, after embracing Islam. He has provided useful guidance about Islam. Have you visited Shah Faisal mosque in Los Angeles city? Yes, of course! This is a beautiful mosque. I am myself interested to construct a similar mosque in ?Falise? area because there is no mosques in this area and the Muslim community is not resourceful enough purchase a piece of land for a mosque in such a posh area. God willing, I would do it. Who is ignorant of the services of Saudi Arabia for the glorious cause of Islam? No doubt it has leisurely financed the projects for mosques. But this American media even does not spare Saudi Arabia; it spreads quite strange news about this country. When I first visited Saudi Arabia, I had the impression that there would be muddy housed and a very poor communication network. But when I reached there, to my great surprise, I found it culturally the most beautiful country of the world. Who has influenced you, so far as Islam is concerned? Many persons have impressed me. But the fact is that first I turn to the Holy Quran, therefore I do not run a risk of getting strayed on the way. However, there are many Islamic scholars that one can be duly proud of. God willing, I plan to go to Saudi Arabia with my family to perform, ?Umrah?. Your wife and children are Muslims too?